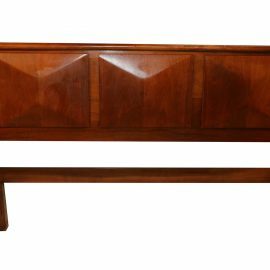 A very finely crafted American Empire style mahogany table from second quarter of the 19th century. 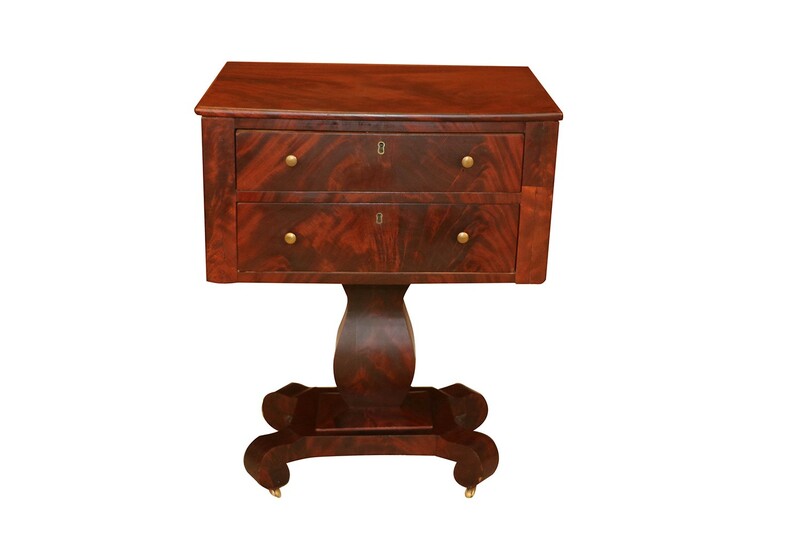 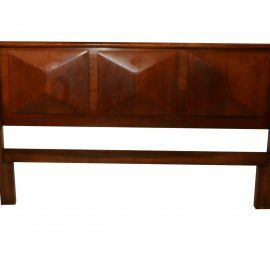 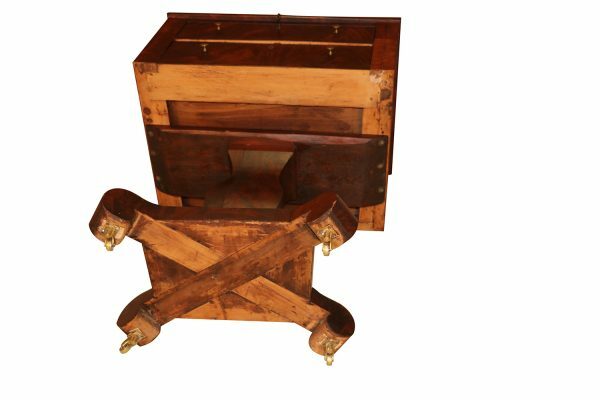 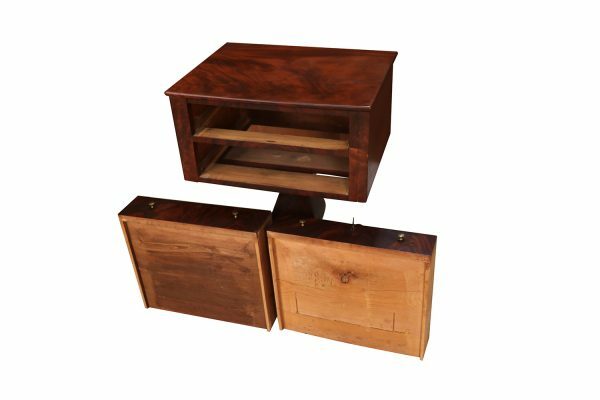 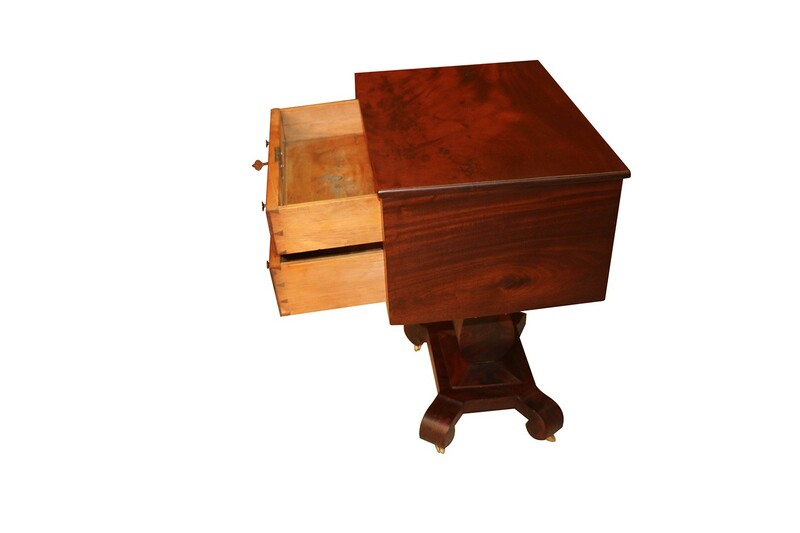 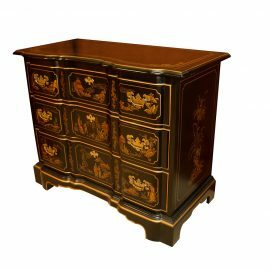 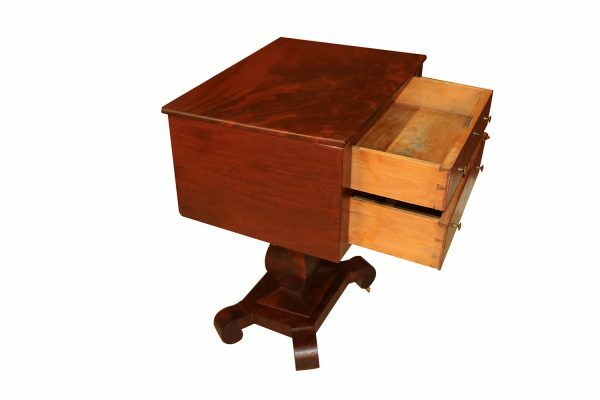 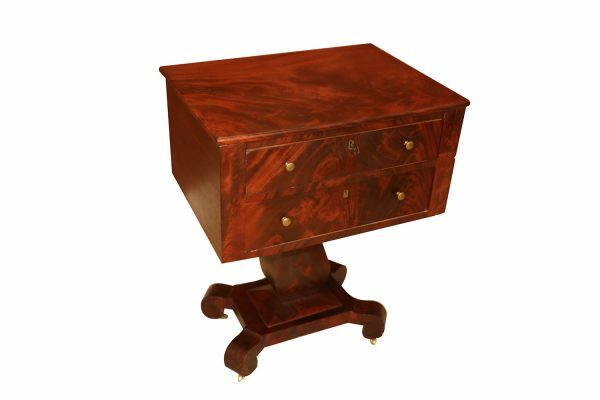 Features beautiful figured mahogany with oblong top above two drawers on a squared baluster stem and in-curved oblong platform with classical scrolling feet. 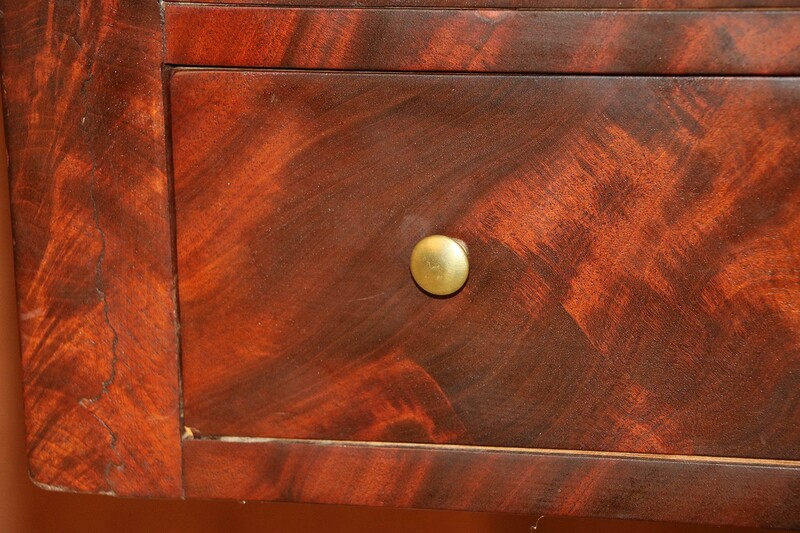 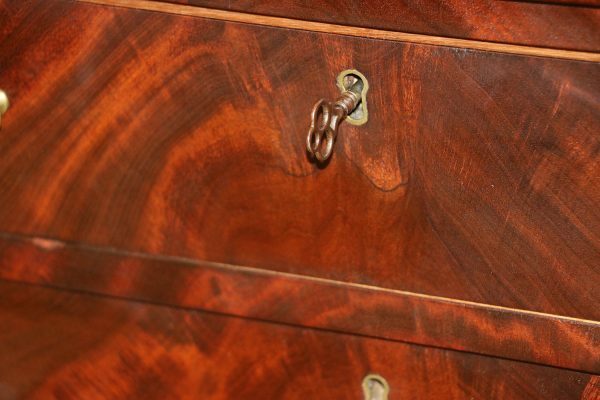 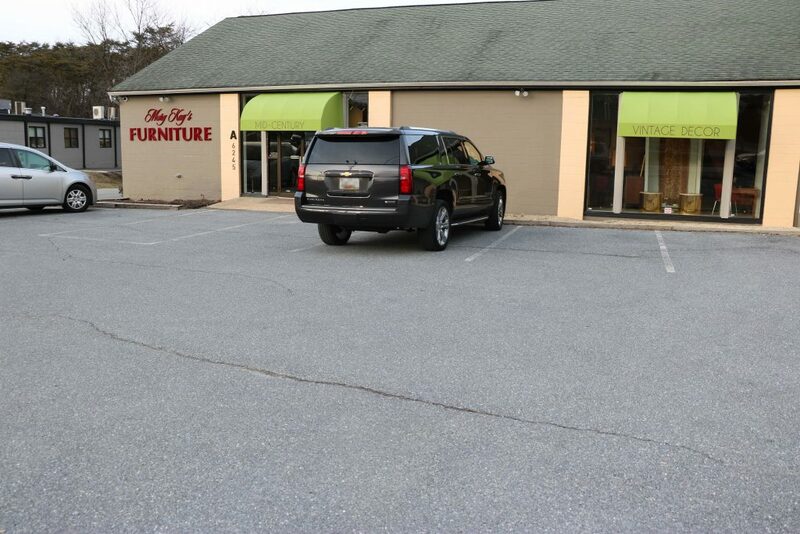 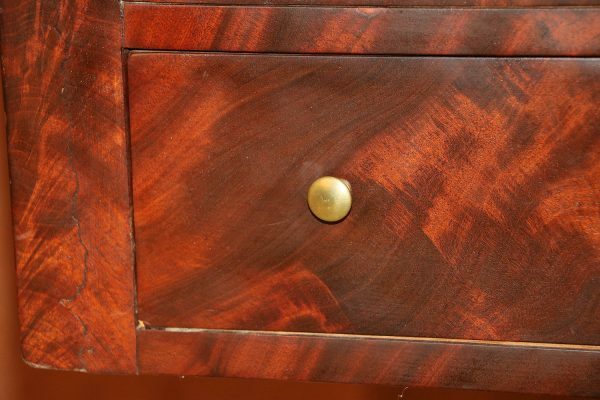 The quality of hardwood is noteworthy, the finest selections of flamed mahogany veneers present throughout the table. 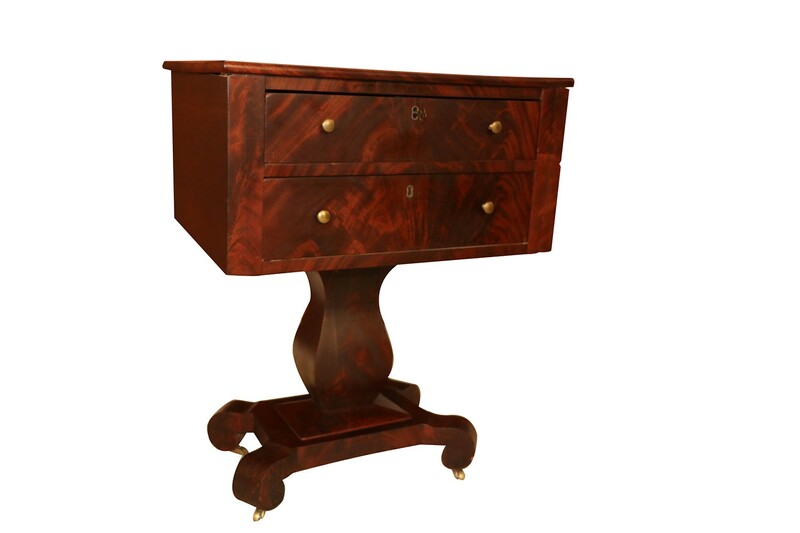 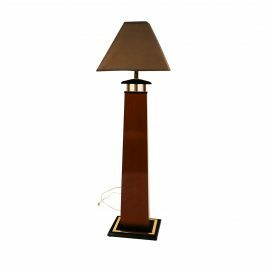 It is an exceptional addition for true collectors of American Empire style. 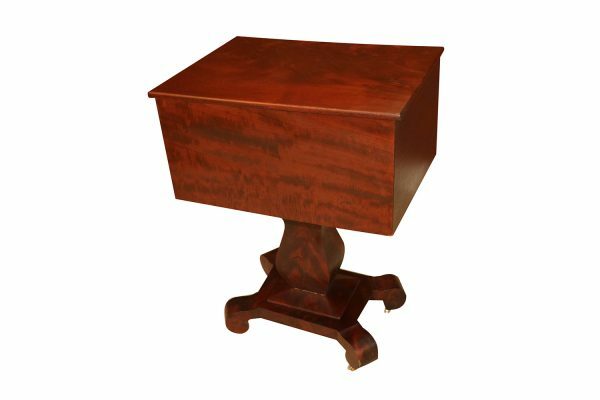 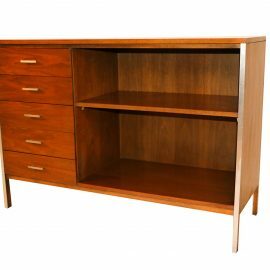 Makes a Fine end table or nightstand!